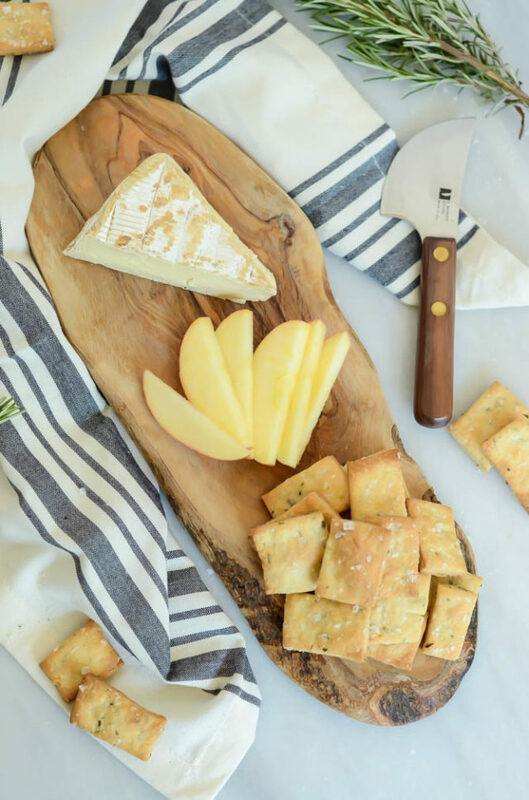 These homemade crackers are studded with rosemary and olive oil and so easy to make – the perfect addition to your next cheese platter! 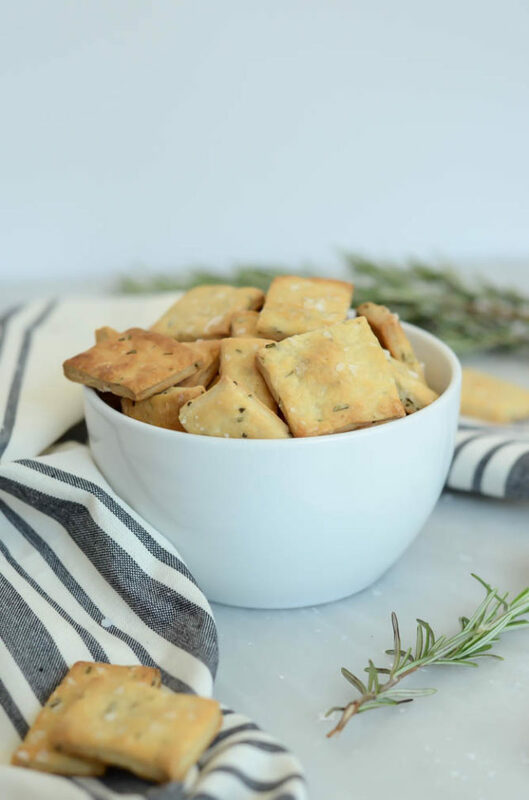 Once you try these Homemade Rosemary and Olive Oil Crackers, you’re never going to want to go back to store-bought crackers again. Seriously though, who knew something like homemade crackers could be so easy? 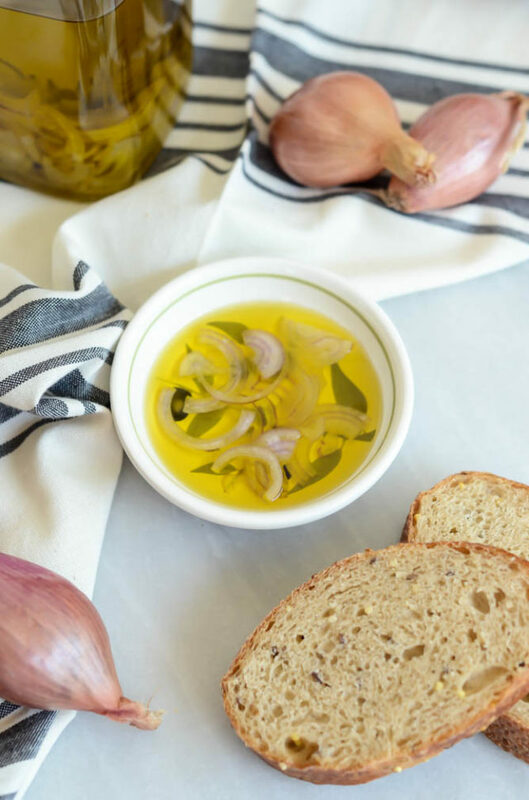 We’re talking seven ingredients, very little prep and bake time, and at least a day’s worth of delicious cheese accompaniments. 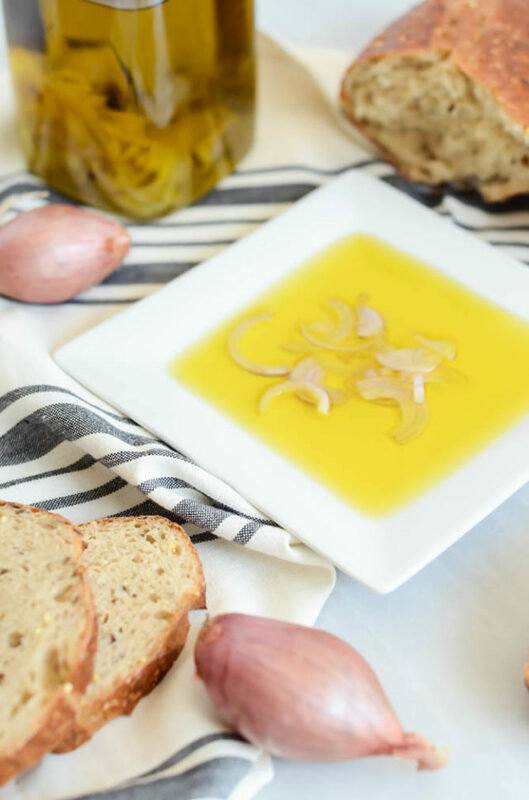 Your holiday appetizer spread? Never been better. I’m not sure what possessed me to try making my own crackers, it’s just one of those realms I felt I should venture into at one point or another in my cooking journey. 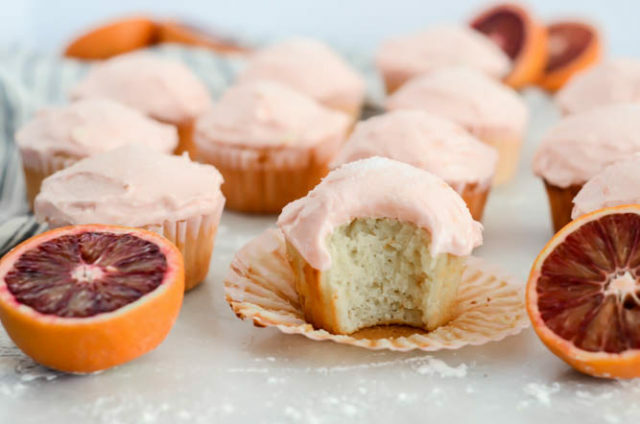 That’s part of what this blog is all about, after all – getting people (myself included) to step out of their comfort zone and learn how to make delicious food that would otherwise seem intimidating or out of reach. I can guarantee that when you tell your holiday houseguests that the crackers gracing your cheese and charcuterie platter are homemade, they’ll be completely wowed and think you’re the most inventive cook on the planet. Promise. 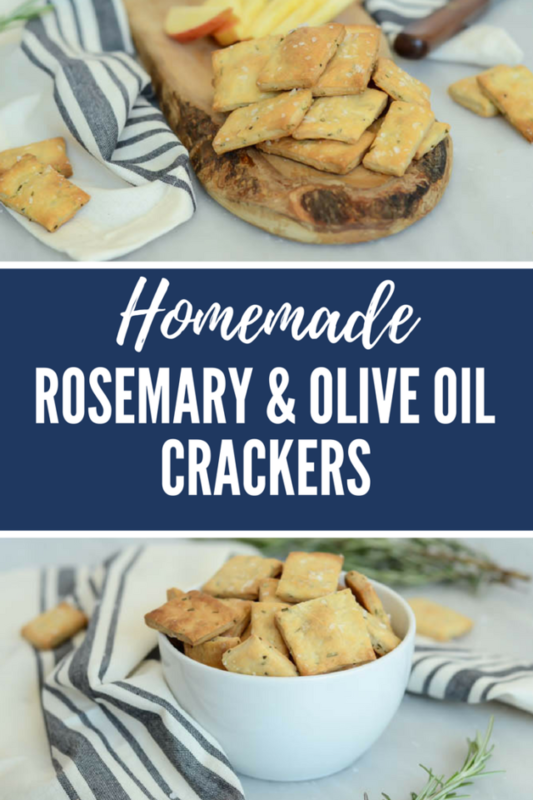 I’m all about the recipes that seem fancy and complicated but really aren’t, and these Homemade Rosemary and Olive Oil Crackers most certainly fit into that category. 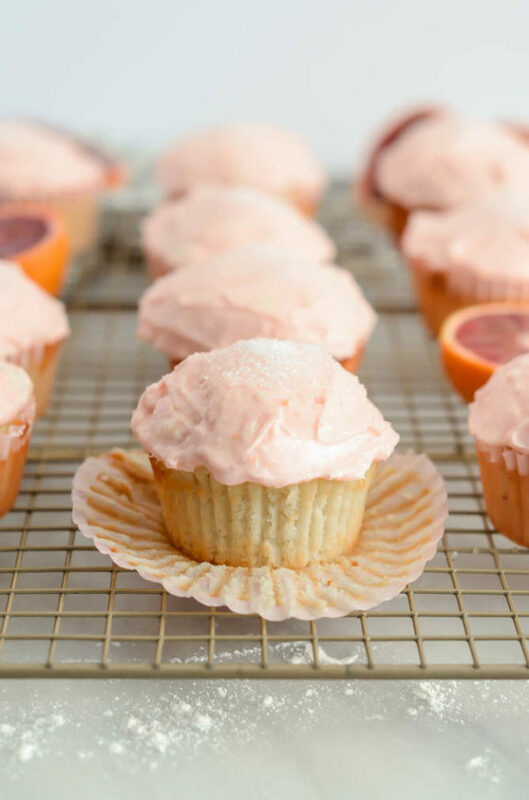 From start to finish, they take under an hour to make, making them totally attainable on any day of the week, no matter your schedule. 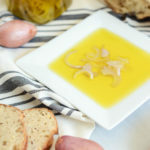 There are really no special ingredients in these bad boys, just the usual culprits: flour, salt, buttermilk and, of course, olive oil and rosemary. Oh, and a little maple syrup for a touch of sweetness! 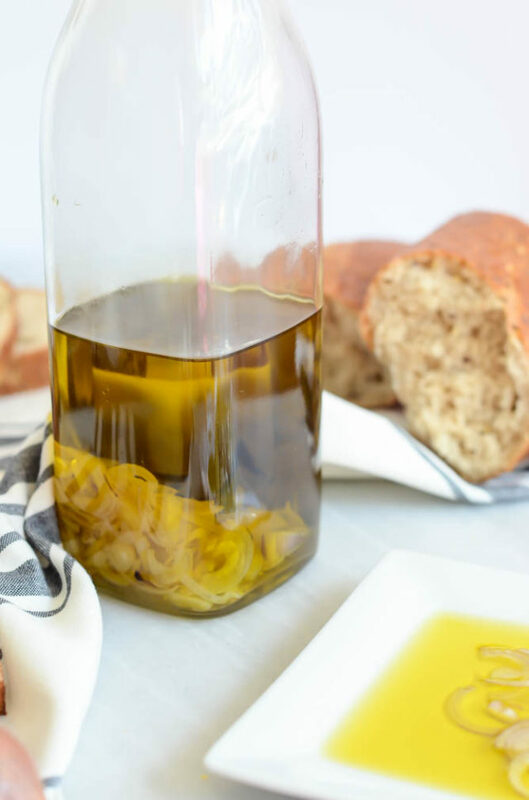 All of the ingredients get incorporated into a (somewhat dry) dough, rolled out as thin as possible and cut into the desired shape before baking. 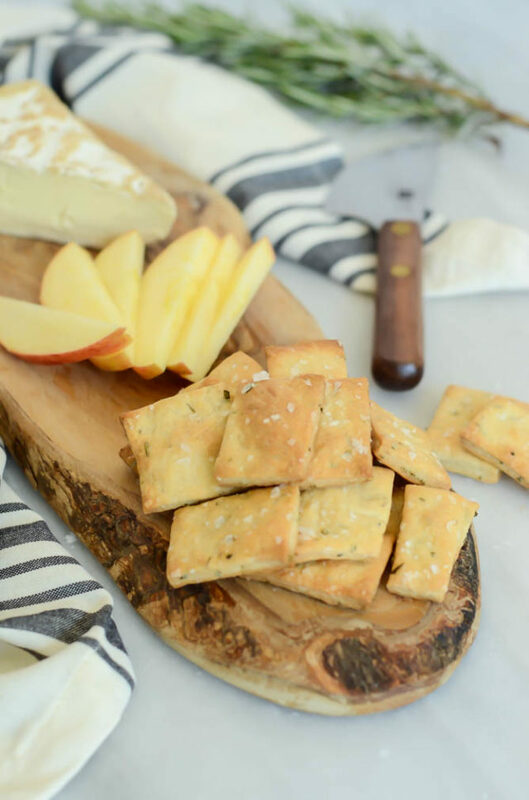 After a quick 20-25 minute turn in the oven, you’ll have a tray full of delicious Homemade Rosemary Olive Oil Crackers ready to serve to your hungry troops. 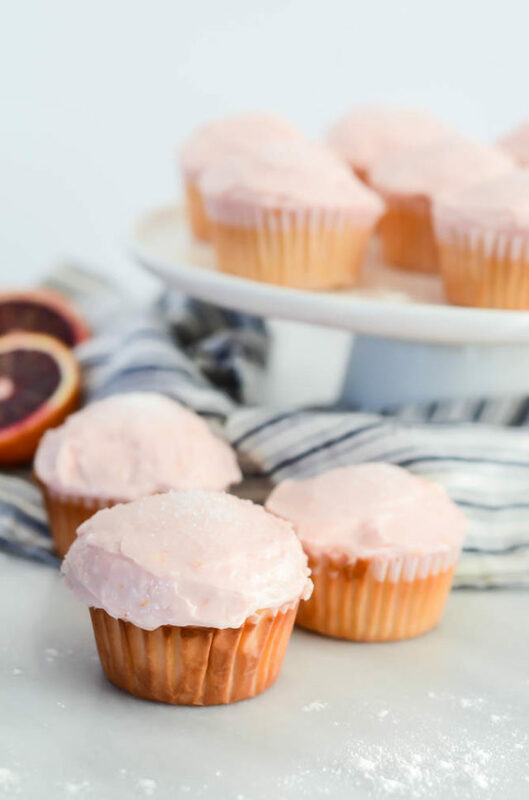 This recipe makes enough for two very hungry or four mildly hungry guests, but if you’re entertaining a crowd, I suggest doubling up because these puppies are going to disappear FAST. The only caution I would give you is that they are best served the day they are baked, so only cook up as much as you think you’ll need. 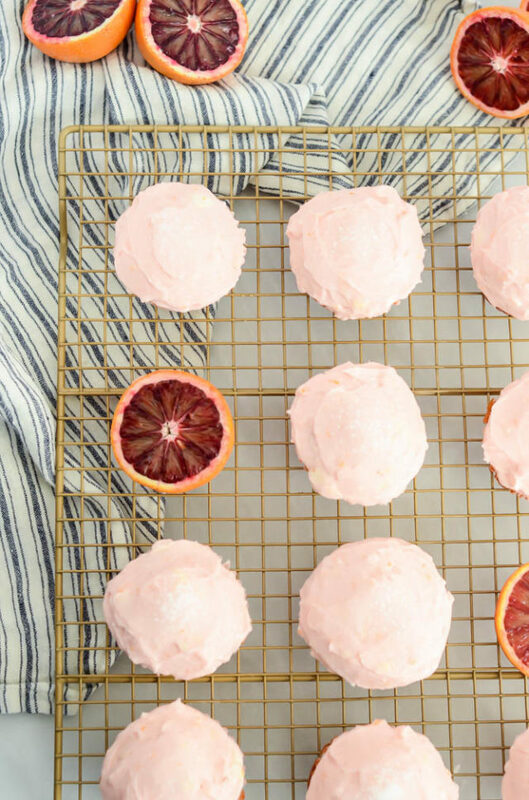 Since they’re so easy to make, you’ll be able to whip them up anytime the desire strikes! I hope this weekend has been treating you well. 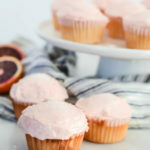 It’s been an eventful one over here at CGC headquarters, with one of my good friends giving birth to a beautiful baby girl, our fur baby getting spayed (:() and me cooking up a storm to get a bit ahead of the game for when baby girl comes in just a few short weeks. 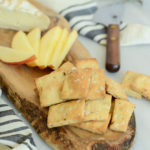 These homemade crackers are studded with rosemary and olive oil and so easy to make - the perfect addition to your next cheese platter! Whisk together flour and salt in a medium bowl, then stir in the remaining ingredients to form a somewhat crumbly dough. Using your hands, mold the dough into a thick square or rectangle. Sandwiching the dough between two pieces of parchment, use a rolling pin to roll it out as thin as possible, keeping it in as much of a rectangle or square as possible. 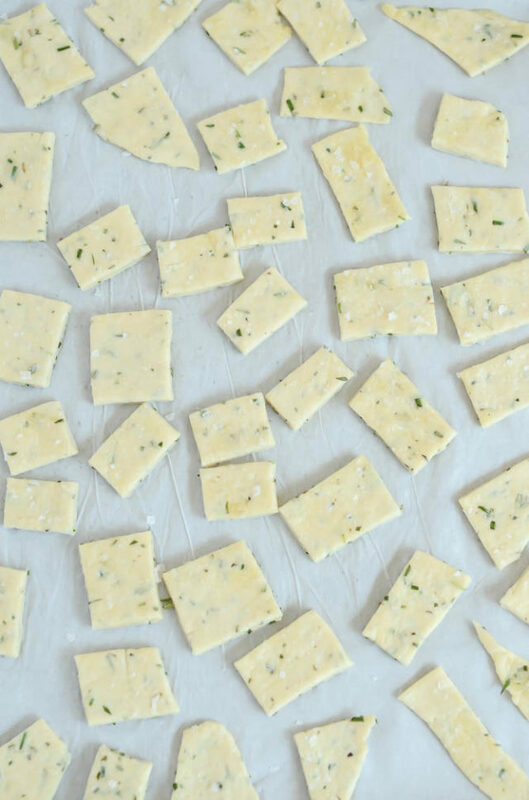 Place cut cracker dough on a cookie sheet lined with parchment paper. Bake in 400 degree oven for 20-25 minutes, or until the edges of the crackers take on a golden brown color. Remove from oven and let cool completely before serving. Best if served the day they are baked.